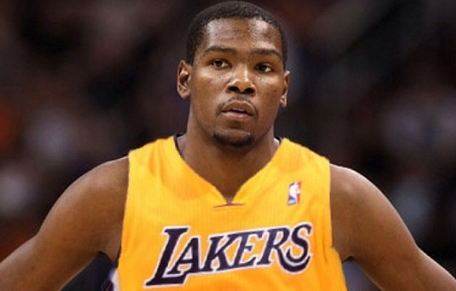 Lakers Are Kevin Durant’s Preferred Free Agent Destination? The Oklahoma City Thunder are prepared to everything possible to keep Kevin Durant, but the question has to be asked: who’s the favorite to land his services if OKC doesn’t? Durant will have suitors like the New York Knicks, Miami Heat, Washington Wizards, Golden State Warriors and Los Angeles Lakers vying for his services. On the Tuesday morning episode of ESPN’s First Take, Stephen A. Smith revealed via his sources that Durant prefers the Lakers in free agency at the moment. He also indicated that Durant could “lean towards the Knicks as well," say if Kobe Bryant decided he wanted to continue to play and linked up with Carmleo Anthony and company. L.A. already expects Kobe Bryant to retire at the end of the season, leaving Showtime with a massive star role to fill. Durant could be swayed to fill it. Durant could find interest in a young core that will be highlighted by No.  2 overall pick D’Angelo Russell and point guard Jordan Clarkson, as well as burgeoning big man Julius Randle.